Happy Tuesday! Trying to balance work, school and a blog has been quite the challenge the past few weeks! I had planned to post this yesterday, but after spending the day reading and editing a paper for my graduate class, I was dead tired. 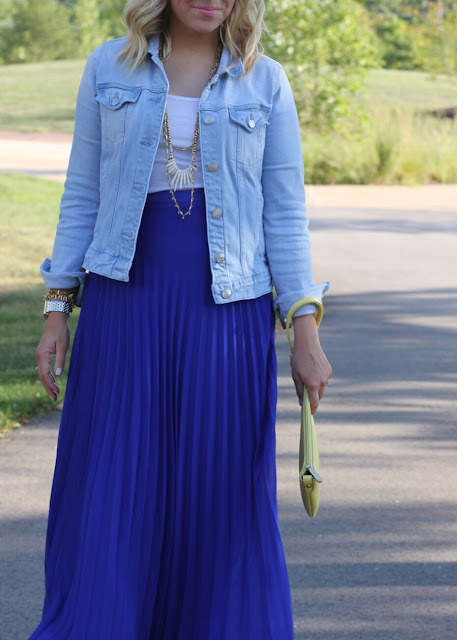 This blue skirt is so much fun to wear! 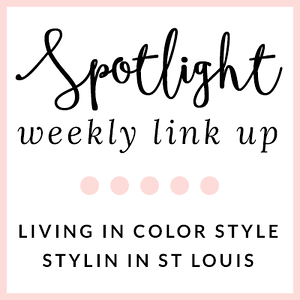 I love the color and it is so much fun to twirl in! I love pleated skirts and have one in green that I wear all the time. Love this blue color on you! 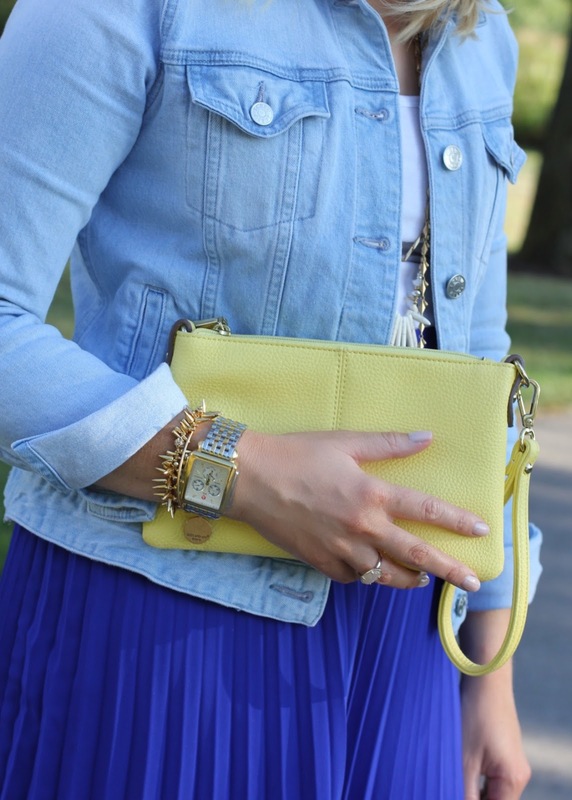 Loving the denim and cobalt combo, babe! Great skirt...such a pretty blue! Such a gorgeous look! 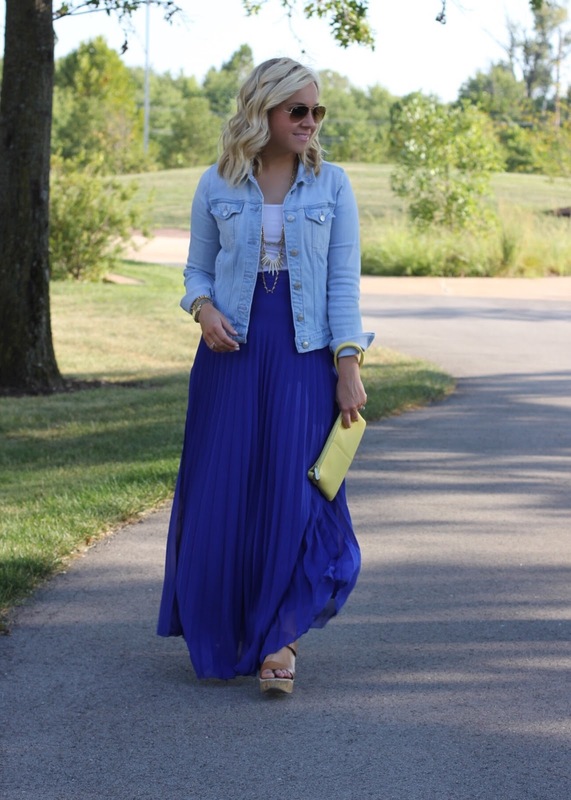 I love the high waist of the skirt, it's so pretty! 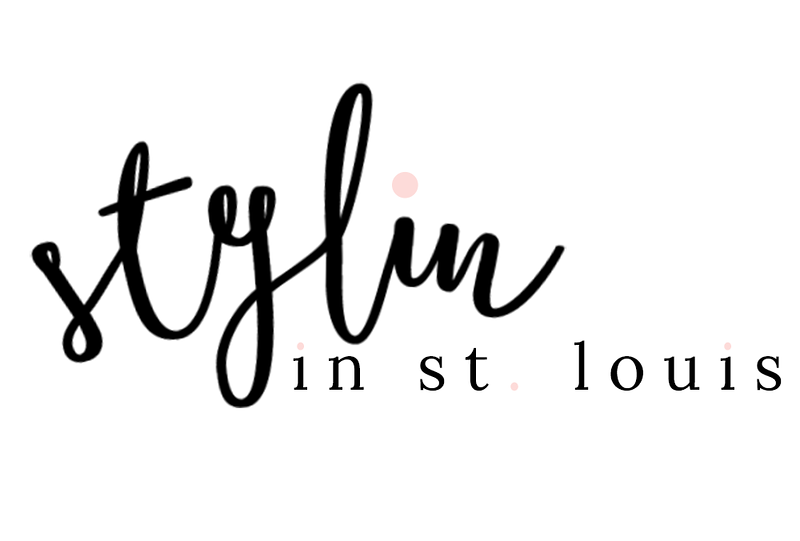 I would love if you would join the Fashion Frenzy link up on my blog today! This post would be perfect for it! Such a beautiful shade of blue! That skirt is just stunning! 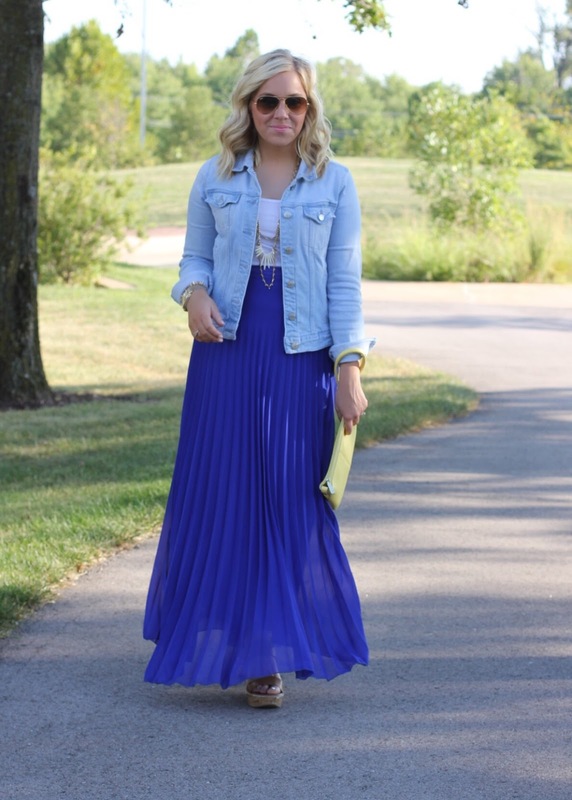 love the color of that skirt & the pleats. so pretty!